A top producer of crushed stone, sand and gravel is utilizing UAVs to accurately assess inventory stockpiles across a number of sites. Several aggregate producers within the commonwealth were recognized for their safety records. The deadline to apply for the National Institute of Occupational Safety & Health’s (NIOSH) Mine Safety and Health Technology Innovations Award is Aug. 1. 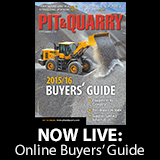 The U.S. Geological Survey published its latest list of the leading crushed stone producers in the United States. 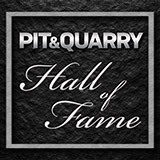 Charles Luck IV, offers an acceptance speech on behalf of his father at the 2018 Pit & Quarry Hall of Fame induction ceremony, which took place in Houston.